Entrance gates to the Bahai section. 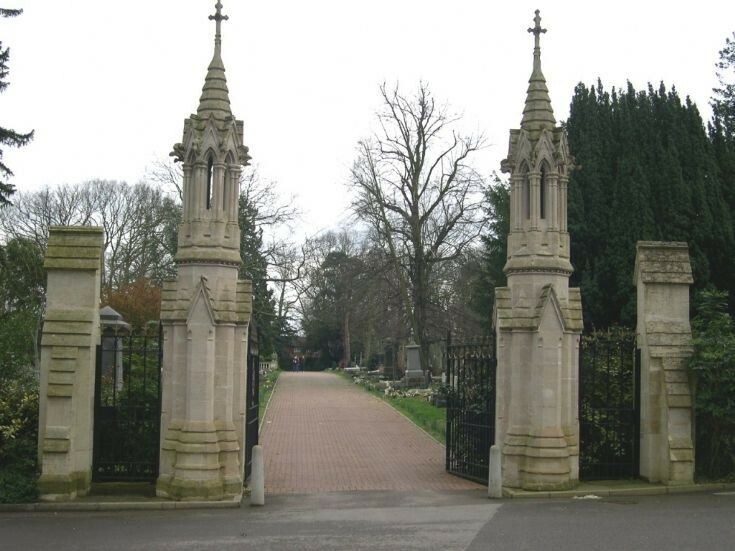 These gates used to be at the south entrance to the cemetery, before that area was sold off and built on. The Bahai group bought the gates and re-erected them in 1998 near to the chapel/crematorium as the main entrance to their section.